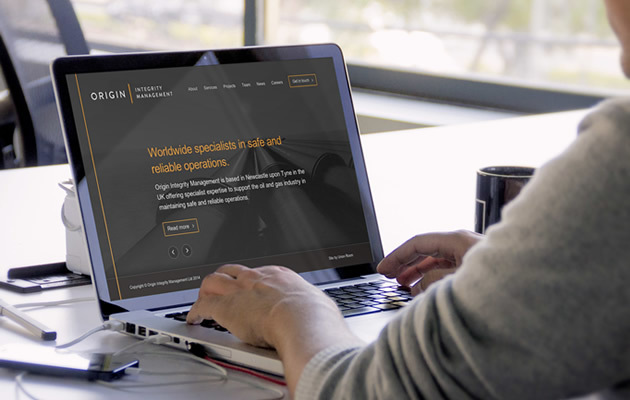 We’ve designed and developed a new, responsive website for Origin Integrity Management – a North East-based company offering specialist expertise to support the oil and gas industry in maintaining safe and reliable operations. 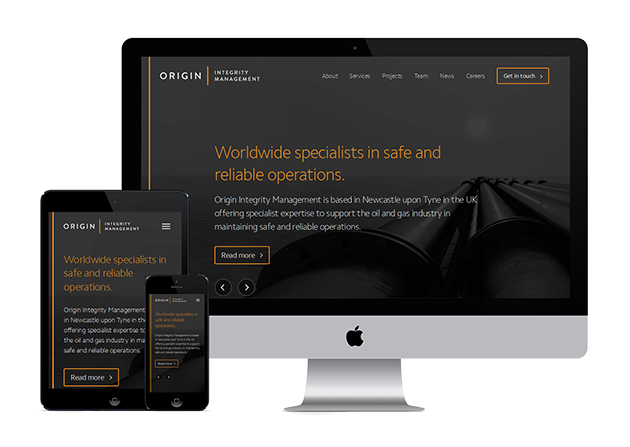 Origin needed a website which would clearly showcase their high quality, client-specific engineering services, which range from turnkey integrity management to consultancy, as well as highlight their goal of helping clients achieve and maintain safe, compliant and reliable operations. We worked with the brand created by our sister company Projector to create a new, responsive website to give the company a reputable and professional image . We built Origin a responsive website across all devices with a clean and smart design. The site allows users to clearly view all recent client projects, offers a clear guide to Origin’s services and a news page for SEO purposes. We also built a team page to reflect Origin’s USP of a being a small and personable company which allows clients to work with key individuals of the Origin team who offer unrivalled knowledge and experience. You can view the new Origin website by visiting http://www.originim.com/.